Over the past decade, much attention has been given to the current state of our aging underground utility infrastructure network. The estimated overall cost to reinvest in these systems is astronomical. In a recent study, the American Water Works Association (AWWA) concluded that the United States will need to invest nearly $1 trillion over the next 25 years to simply replace deteriorated water pipes. Over the past decade, much attention has been given to the current state of our aging underground utility infrastructure network. The estimated overall cost to reinvest in these systems is astronomical. In a recent study, the American Water Works Association (AWWA) concluded that the United States will need to invest nearly $1 trillion over the next 25 years to simply replace deteriorated water pipes.1 Failure to do so will inevitably lead to service disruptions and costly repairs. On a global scale, water infrastructure spending needs could approach $12 trillion from now to the year 2030. This is just an example of the cost of investment required for one utility system. The reality is that the gap between required and available funding is widening each year. Subsequently, there is a pressing need to adopt cost-effective strategies and technologies to address our nation’s utility infrastructure. Trenchless technologies have evolved as viable construction methods that facilitate the installation, replacement or renewal of underground utilities with minimal excavation and surface disruption. Today, trenchless construction methods are used for the installation and rehabilitation of a wide range of underground utilities including water, sewer, oil and gas, electrical and telecommunication. Figure 1 illustrates various available underground construction techniques. In an age of social consciousness, we need to explore technological solutions that minimize disruption to surface activity. The impacts include loss of revenue to affected businesses, added commute times and general inconvenience to the public. We need to look no further than advancements in the medical profession. Medical practices have come a long way over the past few decades. Today, surgical procedures such as angioplasty have replaced open-heart surgery in some circumstances. 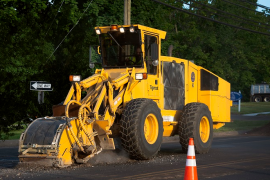 Analogous to open-heart surgery, traditional open-cut construction practices often leave the roadway with a scar (or pavement patch), take longer to complete and require a longer time to recover (or get the road/utility section back into service). Conversely, trenchless methods, like angioplasty, are minimally intrusive often requiring a relatively small excavation (or incision) and enables a speedy recovery of the road/utility network. During angioplasty procedures, doctors use stents to repair damaged arteries. 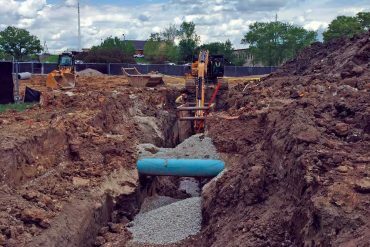 In trenchless construction, contractors use a multitude of innovative lining and pipe materials to repair the damage and improve flow. Trenchless technologies are a particularly attractive construction option in urbanized areas with heavy vehicular and pedestrian traffic and a vast network of existing underground utilities. It is often mandated for crossing roadways and other transportation corridors, as well as rivers and waterways. Trenchless methods can also be used to install, rehabilitate or replace utilities located in environmentally sensitive areas such as wetlands and at locations where surface access may be restricted due to the existence of structures or vegetation. Figure 2 illustrates the minimal surface impact using HDD. The magnitude of restoration for open-cut and HDD are shown in Figures 3 and 4, respectively. Studies have shown major reduction in carbon and other airborne emissions when adopting trenchless technologies compared to traditional open-cut.2,3 Further evidence of this trend is the introduction of two carbon footprint calculators: Vermeer’s E-Calc and the Carbon Calculator developed by the North American Society for Trenchless Technology (NASTT). Designed to compare the potential environmental impact of open-cut and trenchless solutions, these calculators help contractors and clients alike determine the most responsible plan. In an age of resource preservation, it makes sense to use such solutions. Researchers at the Centre for the Advancement of Trenchless Technology (CATT) at the University of Waterloo also conducted a study on carbon footprints.4 The preliminary analysis found that the use of trenchless construction methods can result in 78 to 100 percent lower greenhouse gas emissions than open-cut pipeline installation methods. 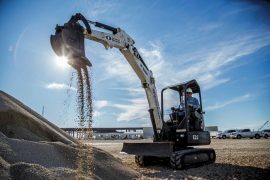 The reduction in emissions associated with trenchless construction are achieved mainly due to its shorter job duration using less construction equipment and limited or no disruption to traffic flow. Case studies in the research concluded that large amounts of CO2 are released due to traffic disruptions associated with the installation of utilities under major roads. It also showed that, depending on the traffic plan used, a small net reduction in CO2 emissions may occur due to reduced speeds that increases vehicle fuel economy. 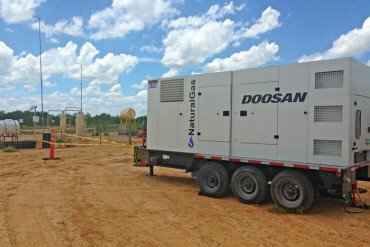 In my opinion, horizontal directional drilling (HDD) is the most commonly utilized trenchless method worldwide. A brief schematic of HDD is illustrated in Figure 5. There are many significant HDD projects currently underway in countries such as Australia, Canada, Brazil, China and the United States. I am also seeing other countries starting to utilize HDD for major infrastructure projects. Lining methods continue to be heavily utilized for rehabilitation of both sewer and water pipelines. There are many pipe rehabilitation methods currently available on the market. Figure 6 illustrates the cured-in-place pipe (CIPP) rehabilitation process. There are several methods for curing the liner. For total replacement due to major deterioration or the need for upsizing, trenchless pipe replacement (or pipe bursting) is the most viable trenchless option. The pneumatic pipe bursting process is shown in Figure 7. The International Society for Trenchless Technology (ISTT) provides excellent downloadable one- to two-page short descriptions of the various trenchless technologies on its website at www.istt.com. 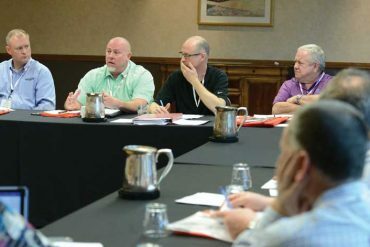 The inherent lack of understanding of the various available technologies and their appropriate applications still present challenges for trenchless adoption. 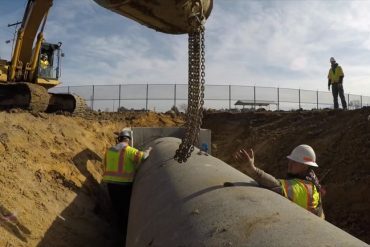 We as an industry need to continue educating decision-makers on the merits of employing trenchless technology. Remember, not all technologies are feasible for all conditions. For example, cobbles and gravels are not ideal conditions for HDD, while drilling in rock is commonplace due to advancements in equipment and tooling. Conversely, pipe ramming can be employed successfully in cobbles and gravels, while rock is a major impediment. As an industry, we also need to continue to engage in proper training and educational initiatives to all stakeholders including utility owners, agency personnel, design engineers, contractors, suppliers, college students and the general public at large. Let’s not forget to educate local politicians as well. I personally receive a great deal of satisfaction whenever I see the light bulb go on during one of the many educational sessions that I conduct globally. Educating people on the merits of trenchless technologies is quite infectious. Talking to new adopters of trenchless technologies and hearing about their success stories brings me great pride in this amazing industry. In no way would I ever advocate the elimination of open-cut construction. Currently, open-cut encompasses close to 95 percent of all underground utility construction activity. 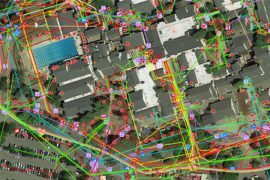 It still and always will have a place in the utility industry; however, trenchless methods should be at least considered as a possible solution when evaluating technology options. For instance, installations, particularly in congested urban areas, that are deep and below a vast existing underground network make sense for the adoption of trenchless technologies. Today, installations beneath major highways and water bodies are almost entirely completed using trenchless methods. 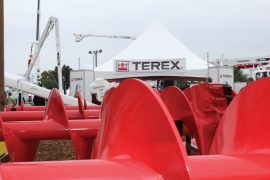 What does the future of trenchless look like? In the short-term, I see tremendous growth opportunities in the utilization of trenchless technologies, especially with proven economic, social and environmental benefits. In the long-term, I see trenchless as being fairly commonplace as more and more people begin to realize the inherent benefits. The old adage, “if all you have is a hammer in your toolbox, then everything looks like nails” really sums it up. Adding several tools to your toolbox makes economic and social sense. Samuel T. Ariaratnam, Ph.D., P.E., P.Eng., is a Professor and the Construction Engineering Program Chair at Arizona State University. He can be reached at ariaratnam@asu.edu. 1. AWWA (2012). “Buried No Longer: Confronting America’s Water Infrastructure Challenge,” American Water Works Association, Denver. 2. Ariaratnam, S.T. and S. Sihabuddin (2009). “Comparison of Emitted Emissions between Trenchless Pipe Replacement and Open-Cut Utility Construction,” Journal of Green Building, July, Vol. 4, No.2, College Publishing, pp. 126-140. 3. Matthews, J.C., S.T. Ariaratnam, A. Selvakumar, A. and W. Condit (2012). “Evaluation of the Carbon Footprint of Innovative Water Main Rehabilitation Technologies vs. Open-Cut Methods,” Proceedings of No-Dig 2012, Nashville, Tenn., March 11-15, on CD Paper F-4-02. 4. Knight, M. and R. Rehan (2007). “Do Trenchless Pipeline Construction Methods Reduce Greenhouse Gas Emissions?” Preliminary Report, University of Waterloo, Ontario, Canada.